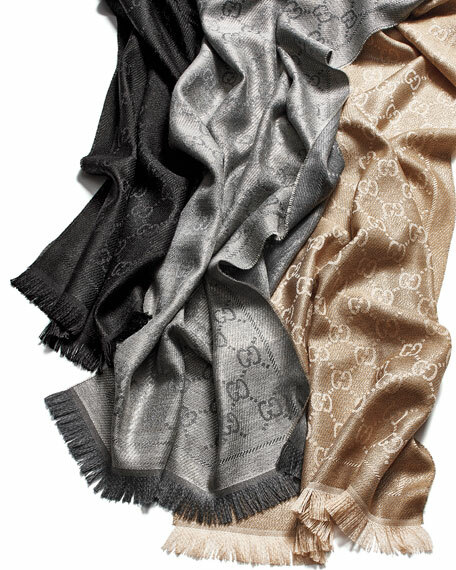 Shimmer stencil scarf by Gucci. GG jacquard with fringe trim. 70"L x 19"W (178 x 49 cm). For in-store inquiries, use sku #891085.